NEW YORK (WABC) -- It's been five years since the police involved shooting that killed Ramarley Graham in the Bronx. Friday we heard from perhaps the most important witness, the officer who is on trial. Officer Richard Haste would take the stand and for the first time publicly describe the events five years ago that took place in a house when he fired one shot killing an 18-year-old man. One shot killed Ramarley Graham after Officer Haste chased him into his home in the mistaken belief that he had a gun. The officer testified, "He's in the house. We have an armed individual. We had to establish containment." After gaining entry to the house, Officer Haste said the suspect had gone to a second floor apartment. There he and others officers prepared for a forced entry. 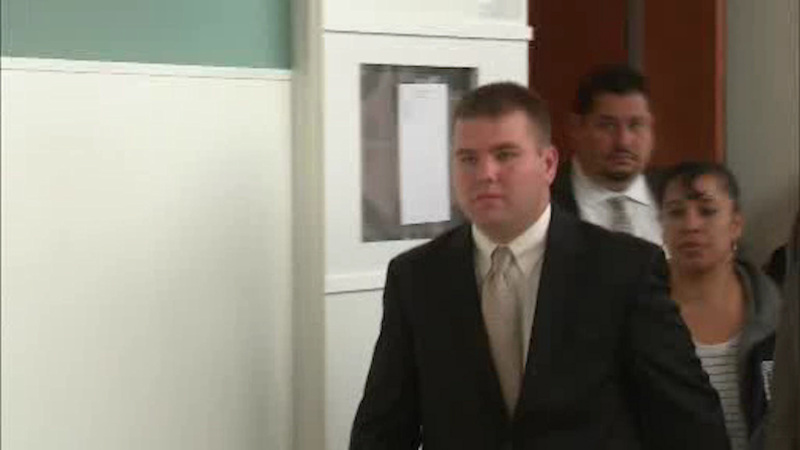 "It was my belief he was taking up a combative position," Officer Haste testified. Ramarley was at the end of a hallway, the officers testified, when the officers burst through the door. Officer haste said: "He's advancing down the hallway. His hand is in his waist band. He says get out of my house." He then sidestepped into a bath room and is confronted, the officer claimed. "His hand went further into his pants," he testified. "I was convinced I was not getting out of here alive. I'm dead. I'm dead. I think I was about to be shot. I yelled 'Gun! Gun!'" Facing the teenager he said, "I fired one shot and stepped back." He testified he utilized the tactics that he learned in department training. "To request termination is draconian, when the officer has never been charged criminally, either state or federal, and where the own police department guidelines find this a justified shooting," said Stu London, defense attorney. Attending the trial throughout the week are Graham's family members, including his grandmother who was in the apartment during the shooting. "I can't see how this man can't be fired or why he should not be fired. Richard Haste should not be on the force," said Constance Malcolm, Graham's mother.